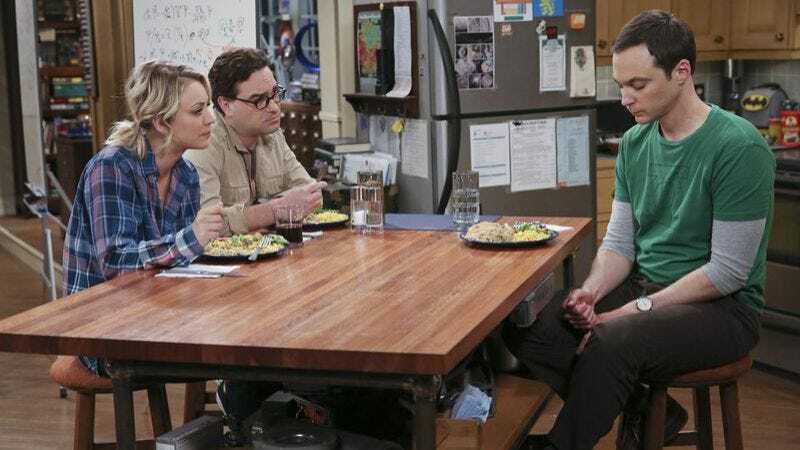 Now in its 10th season, The Big Bang Theory is something of a cultural institution, its writers ably cranking out nerd jokes and also jokes about nerds for an audience of almost 20 million. As is so often the case, its jokes are met by the canned laughter, whooping, outrage, and awe of an audience of automatons, lending the artificial jokes the artificial response they so richly deserve. Replacing that laugh track with something that calls attention to that artificiality is something of a parlor game on the internet, but doing so with Ricky Gervais’ malevolent cackle actually makes the traditional, situational asides almost seem subversive. Perhaps that’s just because Gervais’ gut-busting joy is generally preceded by some sort of snide insult or prank. Here, it is people talking about Comic-Con and paying taxes. This may be its last season.